Watching your diet, exercising and drinking lots of water are good health habits for everyone to develop. However, if you are pregnant it is especially important to focus on caring for yourself and your baby. We have five healthy habit reminders that may be helpful for expectant moms, especially during early pregnancy. 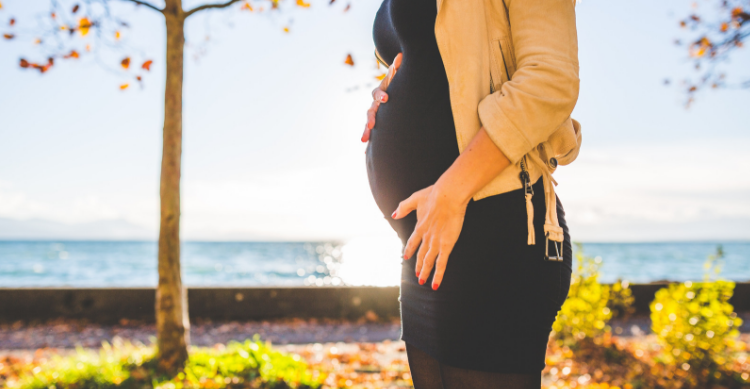 One of the most important steps to make during the first trimester is to get rid any lifestyle habits that can be dangerous or damaging for your baby. That includes drinking alcohol, smoking tobacco, or using street drugs like cocaine or heroin. Talk to your doctor about starting an exercise routine. Expectant moms are encouraged to get at least two-and-a half hours of moderate-intensity exercise each week. That includes activities like walking or swimming. Smaller sessions of at least 10 minutes throughout the week are best. Follow a healthy diet throughout your entire pregnancy. Avoid hazardous foods such as raw or undercooked meats or high-mercury fish like swordfish, king mackerel or shark. Cut out refrigerated smoked meats, hot dogs and luncheon meat unless heated until steaming out. Refrigerated smoked seafood, raw sprouts, soft cheeses and unwashed fruits and vegetables are also best avoided. Try to limit stress and tension during this very important time in your life. Find ways that work for you to better manage the stress that already exists in your life. Talk to your medical providers about the best way to deal with nausea. If you have morning sickness, try eating several small meals instead of fewer but larger meals. Sip on water, weak tea, or clear juices.